It was an entusiastic crowd for 8:00 a.m. in the morning. I’m talking about the group that assembled in Annapolis at Ram’s Head on inner West Steet, for the “Re-launch” of the Main Street program. This time, three years after the initial inclusion of Annapolis as a Main Street City, the plan is to shrink the size of the Main Street Partnership board of directors from the previous total of 25 members, to a smaller more manageable number. But at the same time, they are hoping to get more volunteers to sit on the five designated committees to forge ahead with implementation of marketing and design strategies to attract more business to downtown Annapolis. They’d also like to make the district, which runs from City Dock to the Westgate Circle, larger. One of the problems is money. Educating the public as to the benefits of walking downtown to do your shopping versus getting into a car, sitting in traffic, and then parking that car at The Mall or newly constructed “town centre” outside the city, so you can walk around there to shop necessitates some significant funding. It’s a constant marketing game. and peoples’ shopping habits are easily swayed by the advice of their friends and what they listen to and read about. So if you are reading this blog, I am here to tell you that shopping downtown (unless it is stiflingly hot as it is today) is a great experience. But if you aren’t lucky enough to live in walking distance, yes the city needs to make parking and transportation options once you do park more convenient. We need bike lanes in the city, places to park bicycles and more small trams to transport those unable to walk. A better transportation system, in my opinion, is key to success. But once again, that does take funding. Click here to read more. If you live in the CIty or work in the City of Annapolis, let your opinion be known by contacting your elected officials. The ultimate in recycling just took place last night and early this morning. It was bulk trash pick-up which means that you can pull all the stuff you think is junk out of your basement or attic, or heaven forbid, your living room (have anything you absolutely hate and would like to chuck out the door?) and place it on the curb and by mid morning it will be hauled away. Better yet, the junk fairies (those people driving around at night in search of free things to resell) may do their magic and pick your items up during the night, saving the city money. My husband dragged out a very heavy non-working printer to the curb last night, along with an old very shaky grill, and both items were gone by 6:00 a.m. Maybe whoever took them will get them working and put them to good use. This is all in the spirit of the ultimate Earth Day which officially takes place on April 22nd, sharing the day with Good Friday. A number of fun activities are planned throughout the region. It’s a special Earth Day celebration at the National Zoo in D.C. on Friday and another at the Salisbury Zoo on Saturday. 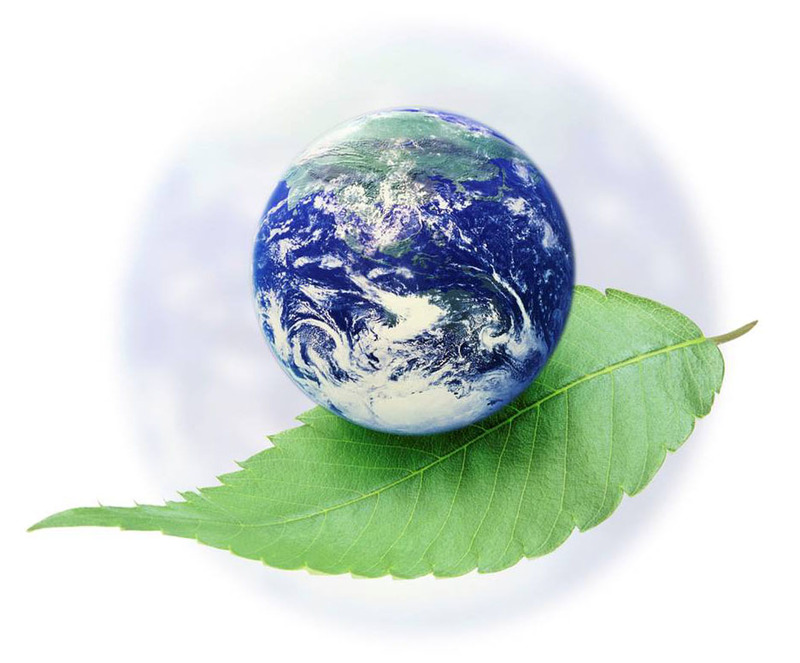 In Annapolis, the Earth Day celebration takes place at Quiet Waters Park on Saturday. It may well be a very soggy day, but the earth does need its water, so perhaps the festivities will continue with umbrellas and rain boots. Get the skinny on all the events this weekend at www,WhatsUpMag.com and plant a tree this weekend, as part of your springtime celebrations. 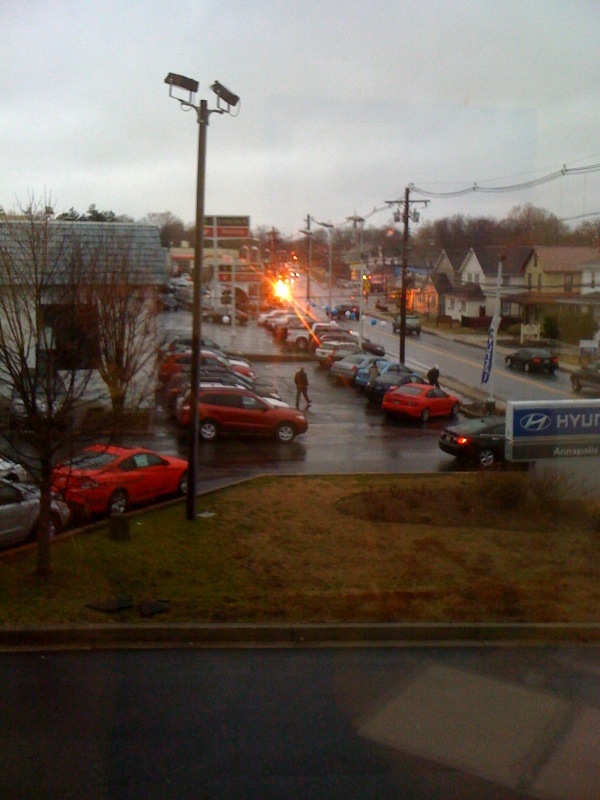 A loud thunderous boom, a momentary loss of power, and I was alerted to look outside our windows to view an electrical fire just a few blocks up West Street near Pinkey’s Liquor Store and Carlson’s Bakery and Thai Kitchen. Flames were high due to all the water on the ground serving to conduct the electricity. Within minutes fire engines had arrived and the power line was cut in the interests of safety. Never approach grounded or loose electrical wires, particularly during a storm. Fortunately, no one appeared to be hurt. Springtime gets me thinking about spring cleaning which means clearing out clutter. Last Friday, What’s Up? Media had a company retreat and we focused on ways to be more productive. 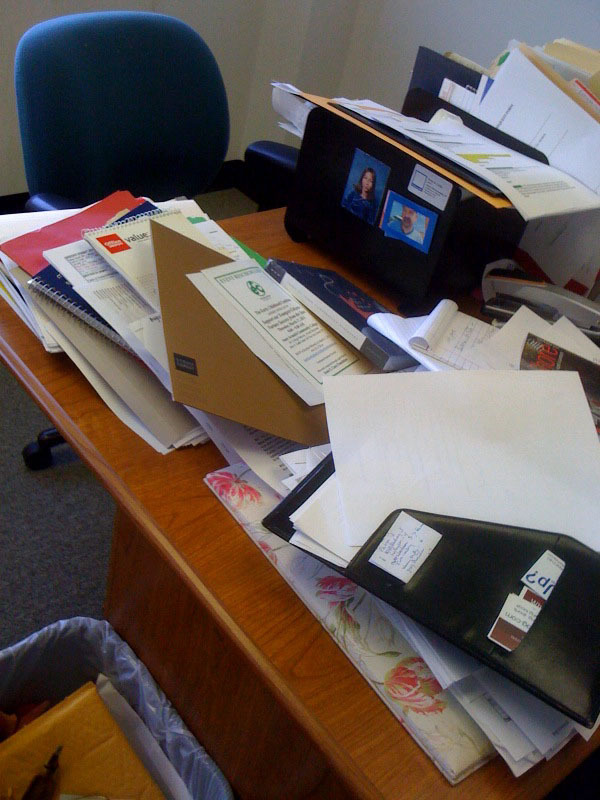 One obvious way is to remove the clutter in our lives as well as the clutter on our desks. So I’ve been hauling away extra files, papers, and old magazines. There has been a nasty rumour going that the stuff you take to the Anne Arundel County Landfill is not really being recycled, particularly glossy colored paper. “Untrue” says Public Information Officer Matt Diehl. Annapolis managiing editor Jame Houck spoke with Matt yesterday and was assured that all paper is recycled. So I have been destributing bags to the editorial staff asking them to “fill them up”. It may take several weeks, but maybe that will give me an excuse to spend some time outside this weekend filling up my recycling bins. Or, I could just clean the top of my desk. Is Annapolis a Green City? If you read my blog on a somewhat regular basis, you know by now that I usually start my day with an early morning walk down to City Dock. This time of year, my day starts very early, so I am often downtown by 6:30. This morning on my return up Main Street I passed the garbage truck as it pulled to the curb. There waiting were several very large cardboard boxes and my first thought was that they had been put there on the curb for recycling. But this was not so, as I saw the private garbage truck pick up the new stiff cardboard and mix it in with a bag of garbage and perhaps a few plastic and glass bottles for good measure. For businesses in downtown Annapolis there is no recycling pick-up offered by the city and no incentive that I know of to recycle, unless a business wants to promote their recycling activity as a marketing ploy. So while I’ve seen a lot of marketing by the city and again today by the state in a news release I received just today, it seems as if our government agencies are only serious about conservation when it suits their purposes. I can keep adding to the compost pile in my backyard, seperate out my paper, cardboard, glass, and plastic at home but meanwhile the businesses in the city are not being urged to do the same. And just how much recycling are our schools doing? The last time I checked, they were throwing away backpacks, clothes from the lost and found, plastic containers, glass bottles and more…. Under Governor O’Malley’s leadership, State agencies are taking action to lower their impacts on the environment and reduce their environmental footprints. Some actions are being taken through organized programs such as the Maryland Green Registry, Maryland Green Jobs and Industry Task Force, Interagency Climate Change/Sustainability committee and Maryland Green Building Council. The new Leading by Example webpage features efforts by these and other agencies to conserve natural resources and minimize Maryland’s environmental footprint. Author Nadja MarilPosted on June 22, 2010 June 22, 2010 Categories annapolis, Energy Conservation, Health, PoliticsTags annapolis, Conservation, Green, Main Street, Nadja Maril, Recycling, What's Up? Annapolis, What's Up? Publishing1 Comment on Is Annapolis a Green City? What do bicycles and prom have to do with one another? Well both Bicycle to Work Day and the Annapolis High School Prom take place this Friday on May 2lst. I’m going to talk about prom first because it’s been on my mind for the past several weeks, if not longer. Senior proms have been taking place around the county for the past month. Now it is Annapolis Senior High School’s turn where my daughter Alex is a senior. Both her older brothers took dates, but I don’t remember having to do much except pick up a corsage. With young ladies there is that all important selection of the dress, and the dress fitting, the hair, the nails. While her focus is on looking beautiful and having a spectacular time, mine is on the kids staying safe. So this is where I put in a pitch for emphasizing the importance of educating teenagers on only driving sober ie never drink or take drugs and then attempt to operate a motor vehicle. Watch the video on this blog. 8:00-8:15 prize drawings will take place. Enjoy your Friday, whatever your plans.